ItemPeel 2654 - Plan of Peel Repurchased Estate lots 130-145, etc, Part of Cockburn Sound Location 16, 1838/20 by W.F. Rudall, Fieldbook 136 [scale: 16 chains to an inch]. ItemPerth 2222 - University lands, Crawley by J. Hicks, Fieldbook 26 [scale: 3 chains to an inch]. ItemPlantagenet 00 - Vicinity of Princess Royal Harbour by A. Hillman [scale: 8 chains to an inch]. ItemPlantagenet 003 - Survey from Location 7 Frankland River to junction Albany and Yeriminup roads by C. Evans [scale: 160 chains to an inch, undated]. ItemPlantagenet 007 - Location 20 (along the Hay River) by P. Chauncy, 1852 [scale: 4 chains to an inch]. Item Plantagenet 007 - Location 20 (along the Hay River) by P. Chauncy, 1852 [scale: 4 chains to an inch]. Location 20 (along the Hay River) by P. Chauncy, 1852 [scale: 4 chains to an inch]. 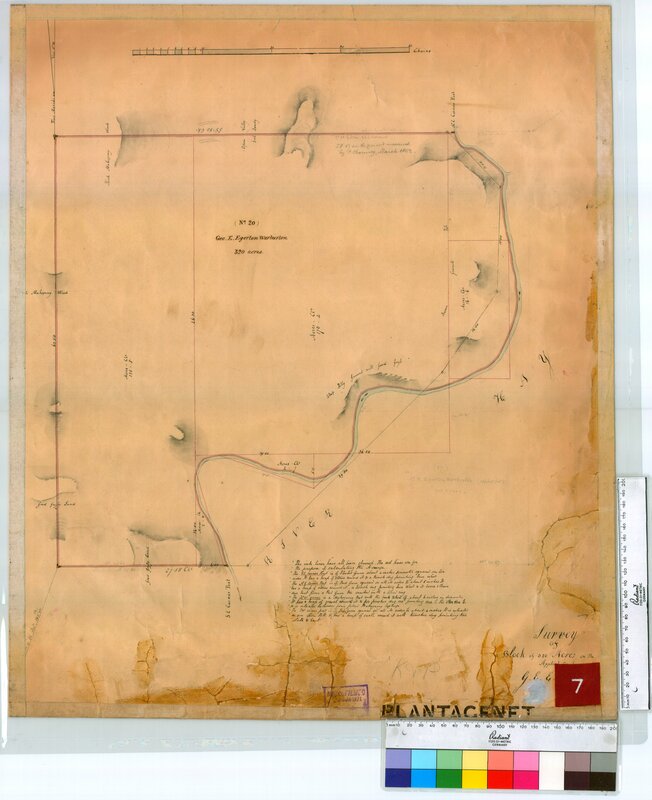 Confirm Item Request: Location 20 (along the Hay River) by P. Chauncy, 1852 [scale: 4 chains to an inch].